Zurvita’s Zeal is a All-In-One natural nutritional drink. A Synergistic blend of whole food concentrates providing an excellent source of nutrients , antioxidants and vitamins. Some Zeal Wellness flavors can be purchased in our Kosher, Gluten Free and Vegan formula. Zeal Wellness provides complete spectrum of nutrient dense botanicals providing your body with balanced nutrition. Balanced nutrition is critical to good health, proper energy levels and successful weight loss and management. Zurvita Cleanse is an herbal and probiotic cleanse that will help detoxify your body and restore your digestive system to a healthy state. You can choose a gentle cleanse by consuming one Zurvita Cleanse tablet per day for 30 days, or a more rapid cleanse take 3 Zurvita Cleanse tablets for 10 days. Zurvita Burn utilizes the power of thermogenic fat burners, carb blockers and an appetite suppressant that doesn’t make you jittery, Zurvita Burn will accelerate your metabolism to burn more calories, reduce your hunger and block the absorption of carbohydrates that you do eat. 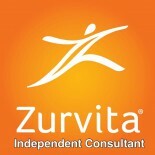 Zurvita Protein come in two fantastic flavors, Chocolate Delight and Vanilla Creme. Both are designed for a completely new and exciting lifestyle. Enjoy Zurvita’s delicious and nutritious protein shakes that are loaded with 24 essential vitamins and minerals to keep you energized. To rev-up your metabolism, eating six small meals a day is key to losing and maintaining a healthy weight and Zurvita Protein will make this easy to accomplish. The shakes can be mixed with water for a 100-calorie snack or mixed with low-fat milk, almond milk, etc. and combined with a small amount of food as a meal. Consistently replacing high calorie meals with low calorie shakes will over time produce significant results! *Guarana Free Formula is safe for kids 12 and older, but first, please consult with their pediatrician. Ask us how you can eventually receive your Zeal Wellness Product for FREE! These statements have not been evaluated by the United States Food and Drug Administration. This product is not intended to diagnose, treat, cure or prevent disease. The information on this site is not intended to replace advice from your physician or other health care professional or any information found on any product label or packaging. You should always consult with a qualified health care professional before starting any diet or supplementation program, especially if you are pregnant, nursing or taking prescription medications. Zeal Wellness nutritional supplement can be taken 2x a day, however we suggest you follow your doctor’s advice. Our Zeal Wellness Nutritional formula was designed with Diabetics in mind. I have a box of Zurvita my son bought for me but it got hidden behind some other stuff when we moved. The expiration was 4/2017, Is it still good ? We do not suggest consuming expired products. This entry was posted on June 17, 2012 by Zurvita.com/HealthRoads in Available Countries, Canada, Diet, Functional food, Hong Kong, Ingredients, Nutrition, Plant Based, Republica Dominicana, United States, Weight Loss, wellness, zblends, zblendsempoil, Zeal For Life, Zeal For Life Products, zurvita hemp oil, zurvitahempoil and tagged antioxidants, Bold Grape, Functional food, glutenfree, guarana free, ingredients, kosher, natural nutritional drink, nutrients, nutritional facts, Plant Based, tropic dream, vegan, vitamins, weight loss, Wild Berry, zeal drink, zeal for life, Zeal For Life Products, zeal health drink, Zeal ingredients, zeal products, zeal supplement, zeal wellness classic formula, zeal wellness formula, zurvita burn, zurvita cleanse, zurvita ingredients, zurvita products, Zurvita Protein, Zurvita Zeal Drink.